A group from an unknown year gathers for a photo. • Includes dinner, as guests look back 100 years and look forward to the next 100 years. LIMA — United Way of Greater Lima is turning 100. The organization helps 19 agencies and 25 programs in the Lima Allen County area. Carol Braden-Clarke has been president of United Way for the past three years. “I think when you look at just the social service sector in the community we cover really a range of services that begin with children at birth through elderly and senior citizens and the services are there not only to help people with their basic needs and immediate needs of food or shelter, those types of things but also to look at long-term solutions to problems in the community,” said Braden-Clarke. Last year, 4,663 students engaged in extracurricular enrichment programs, 1,563 victims received service from the court advocacy program, 713 individuals accessed services to maintain financial stability, 517 children accepted the opportunity to succeed in early development and 615 senior citizens benefited from programs promoting health and independence. Looking back at the United Way’s origins, the organization started as The Allen County War Chest of 1918. It benefited local war-related service agencies including the YWCA, YMCA, Red Cross and Salvation Army. Back then Fred Becker, campaign chair, raised $650,000 which is the equivalent to $10,830,033 today. Funding comes from the annual fund drive. 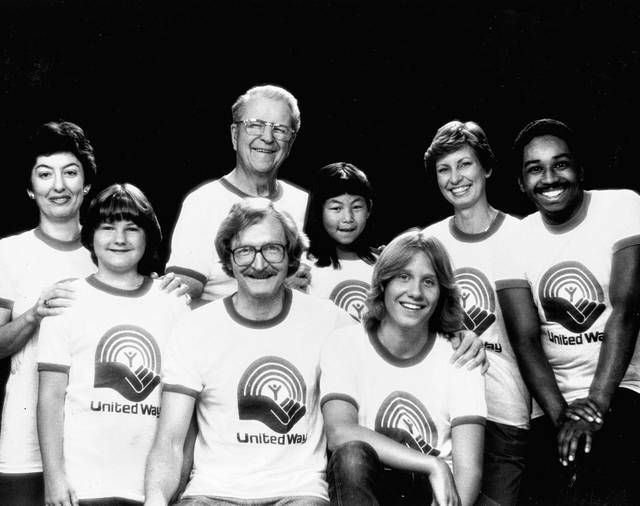 In 1991 The United Way of Greater Lima Endowment began with a gift of $100,000 in memory of Jack Crouse. A challenge grant of $150,000 was also donated. Interest from that fund helps United Way agencies. Among the presidents that have served the United Way of Greater Lima, Bev Preuter had served the longest at 45 years.